When I log in to hptuners.com, it shows that I have 8 credits. I have used this HPtuners pro to tune my own car, but I have uploaded a few mail-order tunes for my same car as well. My computer that I was using at the time is no longer functioning. I tried to load HPtuners on my old computer (Vista operating system), and I just get a pop-up that stays "VCM Suite 2 requires the .NET Framework 2.0". I have tried to download the 2.0 version and I still get the same pop-up. I then went and downloaded the 3.5 version and I get the same pop-up. I've spent a couple hours trying to figure out how many credits I actually have. Is there any simple way to do this?? I honestly don't think I still have 8 credits like it says when I log in to hptuners.com bc I know I've used at least one with my car. Any help would be great. 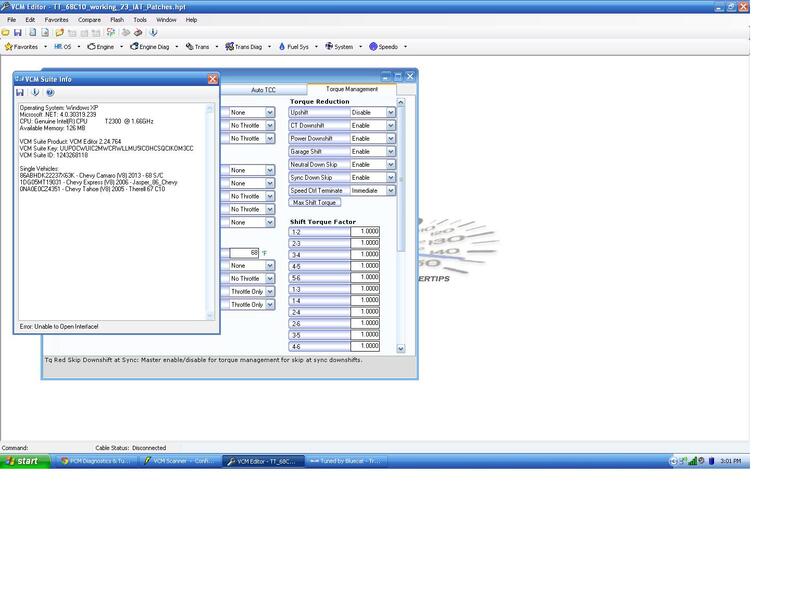 If I recall you can open up help - license info in the VCM Editor software while connected to the HPT interface and it will show all your used and unused credits.